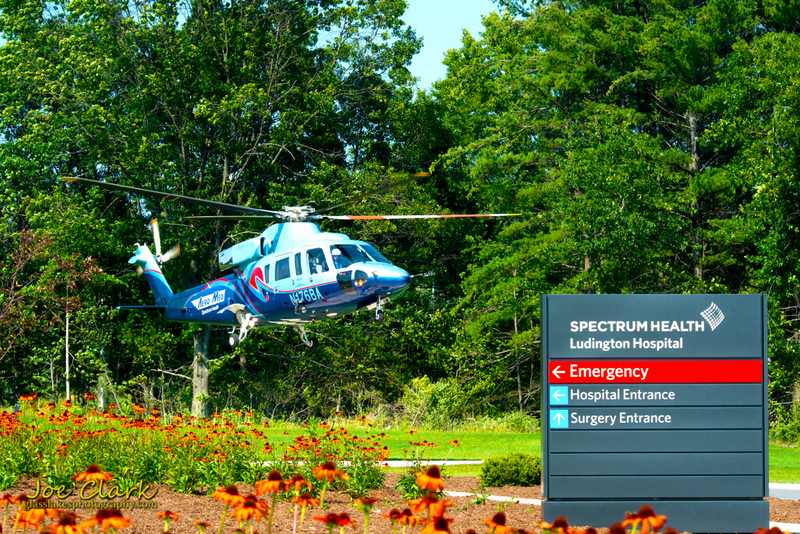 As a kid I always enjoyed sitting around the hospitable in Ludington and watching as the helicopters would fly in and out. Be it on a fairly irregular and rare occasion it was still fun to watch. Here is a landing I caught just yesterday.